Found 5 file extension associations related to Minitab and 4 file formats developed specifically for use with Minitab. Minitab is a leading statistical software, currently in version 17. Minitab gives you the statistical tools you need to analyze your data and improve quality in one easy-to-use package. It is the leading software used to implement Six Sigma worldwide. 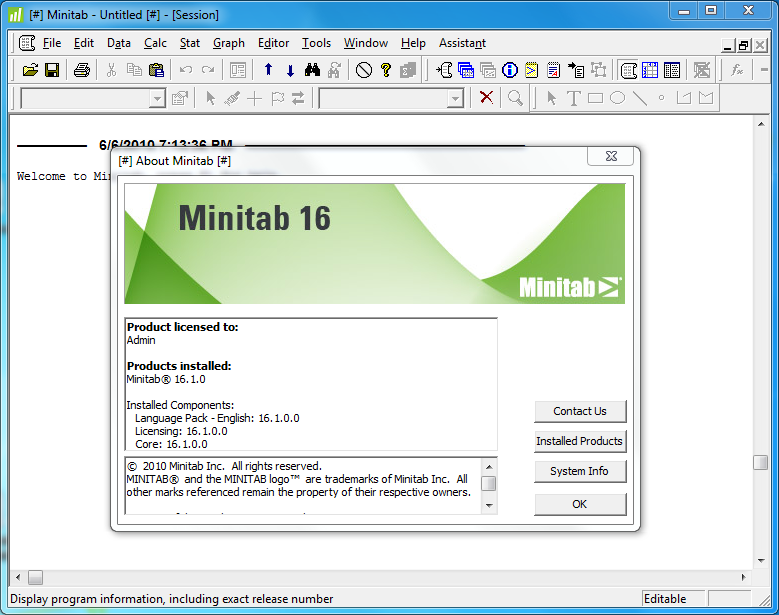 If you need more information please contact the developers of Minitab (Minitab Inc.), or check out their product website.